In March 2014, the largest, and most complex Ebola outbreak makes international headlines. The Ebola virus, formerly known as Ebola hemorrhagic fever, is a severe, and often fatal illness in humans. Since December 2013, Ebola spread across borders from Guinea into Liberia, Sierra Leone, Nigeria and Senegal. On August 8, 2014, the Director-General of the World Health Organization (WHO) declares this outbreak an international public health emergency. At this point, Ebola becomes a daily news item in print and broadcast media across the globe. Fear of the virus spreading to the western hemisphere begins to grow deeper as aid workers fall ill and the death toll continues to rise. It becomes clear to foreign correspondents and health reporters that in order to prevent unnecessary panic, they need to start seriously considering reporting from the front lines of the epidemic. The Toronto Star’s Jennifer Yang has her sights set on Sierra Leone. Her title as global health reporter seems to demand that she go. With a weak health care system and unstable infrastructure, Sierra Leone is one of the most severely affected countries in West Africa. The average fatality rate for Ebola is roughly 50 percent, so the risk of infection must be weighed against the journalistic necessity to be first on the scene. For Yang, reporting from a high-risk country is nothing new. She won the Canadian National Newspaper Award for her coverage of the 2010 Chilean mining disaster. Her editor, Lynn McAuley, was also a former foreign correspondent. In conflict zones like Iraq and Afghanistan, the sounds of bombs and bullets can be heard from a distance. Reporters can protect themselves by hiring drivers and fixers who help limit their exposure to danger. Ebola is an entirely different beast. The virus is invisible; it could be lurking anywhere. The Toronto Star has a lot at stake. Do they send Yang to Sierra Leone and potentially become the first Canadian news organization to send a reporter to an Ebola zone? Or, with the infection spreading rapidly, do they decide that her health and safety are more important? Yang also has to weigh her own professional advancement against the risk of infection, and the peace of mind of her family members back home. 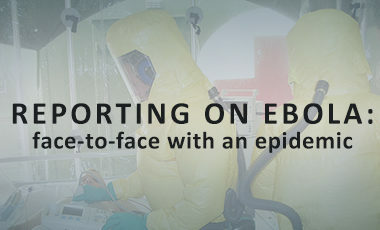 This case study will explore the complexities of reporting on epidemics, and the policies guiding the safety measures for journalists in hazardous regions through the decision-making process of the Toronto Star and Jennifer Yang. [1-3] “Ebola Virus Disease.” World Health Organization, September 2014.